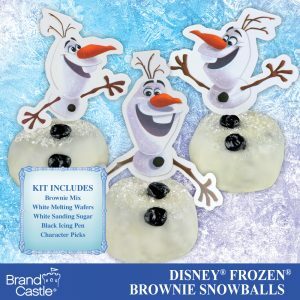 Do you want to built a delicious snowman? 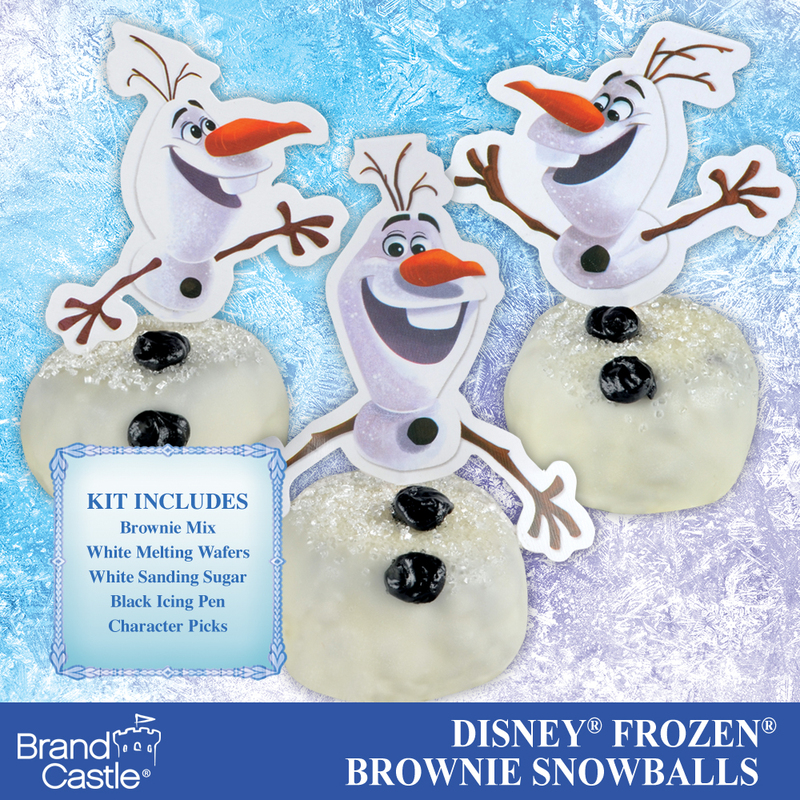 Your favorite Frozen character is here with his own brownie ball baking kit! Sanding Sugar: Sugar, Carnauba Wax. Icing Pen: Sugar, Partially Hydrogenated Soybean and Cottonseed Oil, Water, Corn Syrup, Mono and Diglycerides, Red 40, Salt, Food Starch-Modified (Corn), Blue 1, Potassium Sorbate (Preservative), Polysorbate 60, Artificial Flavor, Yellow 5, Yellow 6, Citric Acid. Melting Wafers: Sugar, Vegetable Oil (Palm Kernel Oil and Hydrogenated Palm Kernel Oil), Whey Powder, Whole Milk Solids, Nonfat Dry Milk Solids, Soy Lecithin, Salt, Artificial Flavor. Adults: Preheat oven to 350°F. Grease and flour bottom of 8×8-inch baking pan. Kids: Be sure to wash hands. Cooking can be messy work. You might want to wear a smock or apron. Stir brownie mix, oil, water and egg in medium bowl until well-blended. Spread in pan. 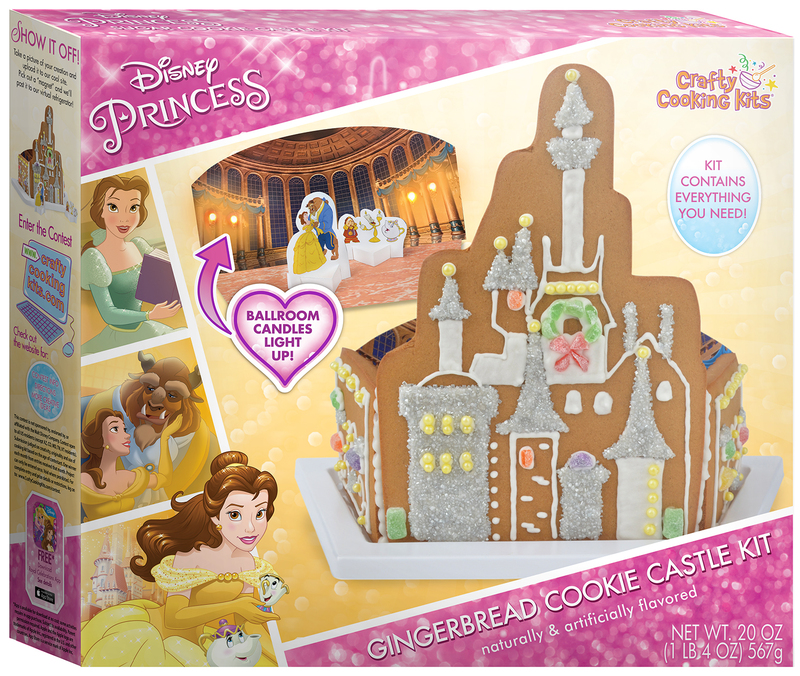 Adults: Bake for 18 to 22 minutes or until toothpick inserted in center comes out almost clean. Remove from oven and cool on wire rack until room temperature, approximately 45 minutes; place in refrigerator to speed up the process. Empty sanding sugar into a small bowl and set aside. Adults: When brownies have cooled, cut into quarters and crumble by hand into a large mixing bowl. You can remove the crusts if you like. Kids: With clean hands, squeeze crumbs into a soft dough. Divide the dough into 8 equal pieces and gather into balls. Set on a plate and place in the freezer for 30 minutes to firm and make assembly easier. Adults: When freezer time is close to expiring, heat melting wafers in a microwave-safe bowl until melted, stirring every 30 seconds. Add vegetable oil and stir until smooth. Immediately remove brownie shapes from freezer. Kids: Working one at a time, use a spoon to roll brownies in melted wafers and remove to waxed paper-lined plate to firm. 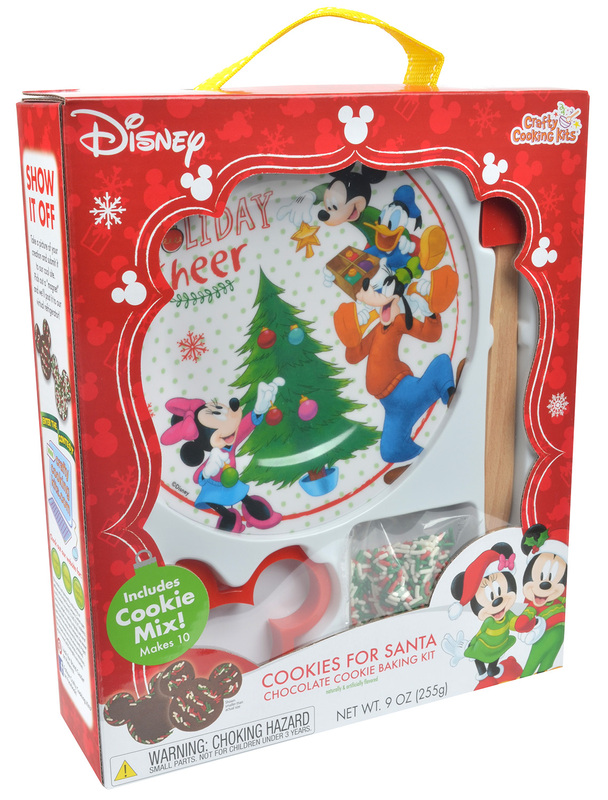 Immediately sprinkle with sanding sugar to add a snowy sparkle and place a character pick** on top. ADULT HINTS: Work quickly! Place brownie shapes back into freezer if they start to soften. Reheat melting wafers if they start to harden. Cut a small tip off of the icing pen. 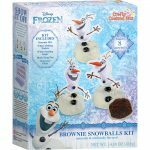 Kids: Once snowballs have firmed, and add black buttons to Olaf’s body using icing pen. Place Brownie Snowballs on a serving platter and enjoy! *Remove picks prior to consuming.